Many people reach out to us because someone violated their privacy rights under the Health Insurance Portability and Accountability Act (“HIPAA”). Unfortunately, there is no private right of action under HIPAA, which means individuals can’t bring lawsuits to enforce their HIPAA rights. Fortunately for Minnesotans, the Minnesota Health Records Act provides patients with many of the same privacy protections as HIPAA, as well as a private right of action to enforce those rights. A health care provider (or someone who receives health records from a provider) releases a patient’s health records to a third party without the patient’s consent. 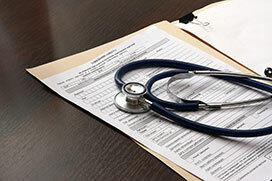 A health care provider accesses a patient’s health records without the patient’s consent. A health care provider or a third party requests a patient’s health records without the patient’s consent. What Should You Do if Someone Violates Your Rights Under the Minnesota Health Records Act? I have developed a sub-focus enforcing patients’ health records privacy rights under the Minnesota Health Records Act. If someone violates your rights under the Minnesota Health Records Act, the law entitles you to compensation and the wrongdoer must pay your attorney fees and reimburse any costs of bringing a lawsuit. Contact JRW Law if you believe someone violated your rights under the Minnesota Health Records Act. If we believe your rights were violated we will negotiate compensation or sue the wrongdoer and represent you in court, if necessary. Our client worked for a large health care system for almost 10 years. She has battled various mental health issues, which eventually led to her being hospitalized for several weeks at a hospital within the system that employed her. During her hospitalization, one of her co-workers accessed her medical records without authorization or a legitimate reason. The hospital couldn’t plausibly deny it violated our client’s rights under the Minnesota Health Records Act, so instead of doing the right thing and offering fair compensation it belittled her damages by taking the position she didn’t suffer any real harm. But after we started a formal lawsuit on our client’s behalf, it did a quick about-face and made a fair settlement offer, the exact amount which is confidential.